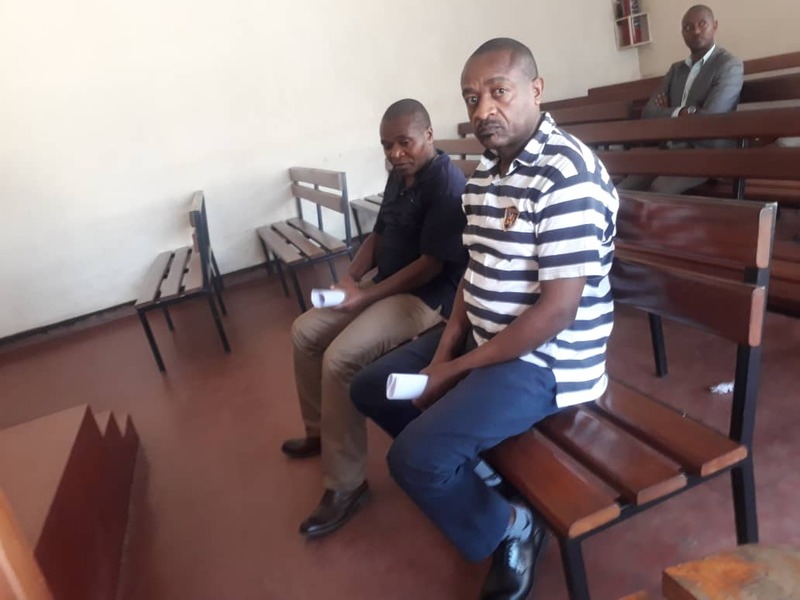 Gasabo Primary court has today heard the case of two former FDLR leaders who were extradited to Rwanda late last year. Laforge Fils Bazeye, real name Ignace Nkaka who was spokesperson of the so called Forces de Defence et Liberation du Rwanda – FDLR and co-accused Lt Colonel Theophile Camara Abega, real name Jean Pierre Nsekanabo, the head of Intelligence of the same group appeared to get informed of their charges. 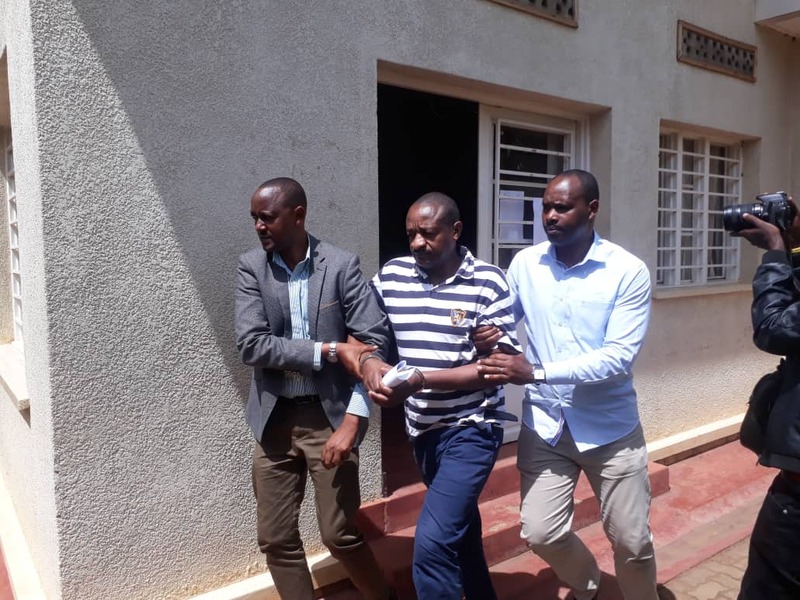 The duo are accused of propagating messages intended to incite the public against government of Rwanda, forming and being part of an illegal group, terrorism and associating with a foreign country with an intention to cause war to Rwanda. To be specific, the prosecution told court that in regard to terrorism, both suspects had both a direct and indirect role in attacks that were staged against Rwanda. The latest that was mentioned was on December 11, 2018 in Busasamana sctor of Rubavu district costing lives to three Rwandan soldiers. The prosecutor also told the court, that the suspects met the Ugandan Secretary of State in Ministry of Foreign Affairs Filemon Mateke. 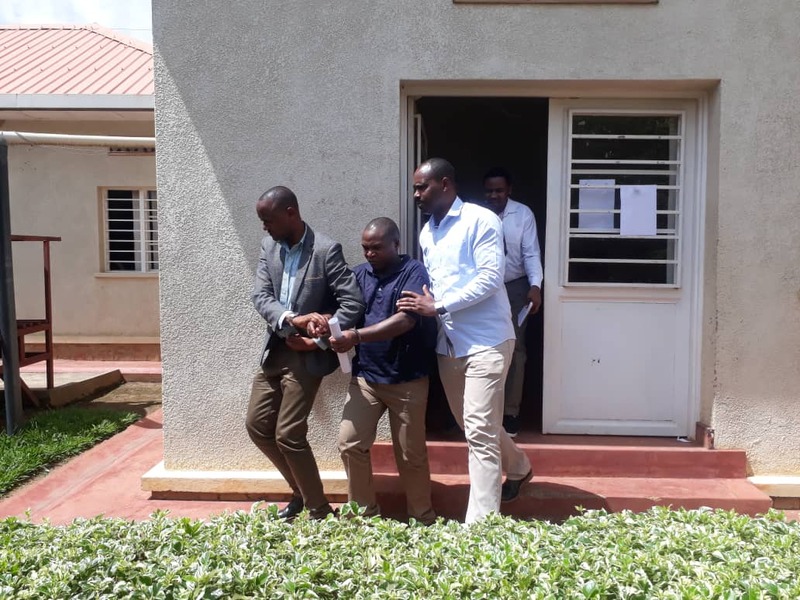 “Mateke brought them together with Rwanda National Congress (RNC) in a hotel that they did not want to indicate to us,” the prosecutor said. RNC whose leader renegade General Kayumba Nyamwasa in exile in South Africa is suspected to have plans to sabotage Rwandan security. The suspects pleaded guilty of these charges. However, Nkaka, alias Laforge Fils Bazeye pleaded guilty of some offences. “I have never seen a communiqué according to which I am part of a terrorist group. Terrorist group are those that have issues with the United States of America, yet I cannot fight that country,” he said. After the hearing on the allegations, the suspects asked for a provisional release while defending that all they did was out of total ignorance about Rwanda. They defended that once in Rwanda they cooperated to tell the truth all through the investigation processes. “The FDLR spokesperson was not acting as a person. He was working for an organization but he was in his time of darkness but he has changed,” said lawyer Munyendatwa. The court will rule on 30 days provisional release on April 10, 2019 before the case starts in substance. Bazeye and Abega were apprehended by FARDC, the army of Democratic Republic of Congo(DRC) at Bunagana boarder between the country with Uganda on December 15,2018. They were later on handed to Rwanda.